The telephony segment covers both mobile and landline phones. The worldwide revenue of US$148 billion in 2017 is expected to increase to US$157 billion by 2021. The Consumer Electronics market is subject to constant challenges, innovations and transformations. The exceptional growth it experienced in the past decade has come to an end. This is due to the saturation in the market for telephony but first and foremost it is an effect of the rapidly declining market for TV, Radio and Multimedia. The market launch of Apple’s iPhone in 2007 led telecommunications into a new era. Smartphones have become a symbol of mobile internet access. They triggered a wave of innovations in the past decade, which has reached telecommunication providers, software companies, computer manufacturers, raw material suppliers and especially social networks and is still keeping them busy up until today. Between 2010 and 2015, revenues from mobile phones increased by 35%. In 2016, Europe and North America made 145 billion US$ in revenues with mobile phones. In the same period, mobile phone sales in Europe and North America increased by only 2% to 367 million pieces – more expensive smartphones are taking former feature phones’ place. Globally seen, sales growth between 2016 and 2017 is close to stagnation with an increase of only 0.1%, the U.S. is even experiencing a decrease of -0.4%. Many consumers in Europe and the USA own high-performance smartphones, while the number of competitors in the market has increased significantly. 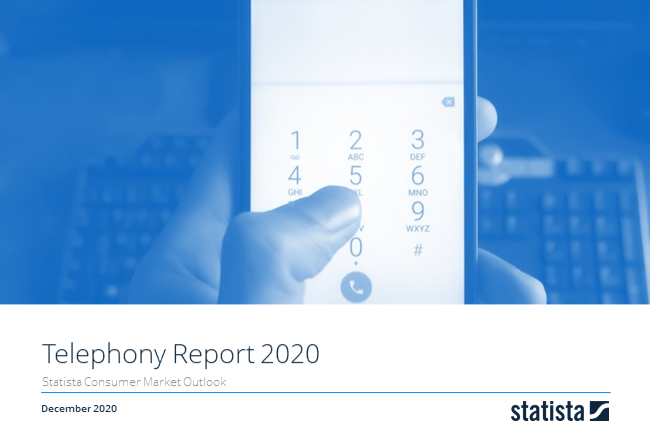 This report from the series of Consumer Market Outlook segment reports gives an overview of the Telephony market from an international perspective. You can find further information on the topic on Consumer Market Outlook/Telephony.